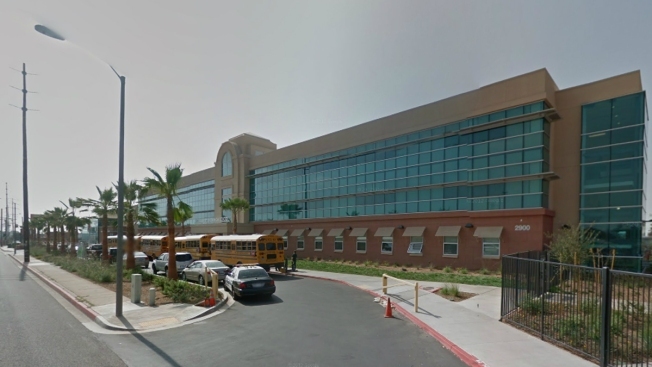 The Sweetwater Unified School District is seeking a return of $26 million in taxpayer funds paid to SGI Construction and Gilbane Building Company under a previous administration, hoping to close the door on an era described by prosecutors and current school officials as one of pervasive and systemic corruption. An outside counsel for the district filed a motion for a summary judgement in a lawsuit seeking repayment of the funds paid to the two construction-management companies from the district's Prop O bond money. The Sweetwater school board hired a joint venture of Seville and Gilbane in 2007 under former Superintendent Dr. Jesus Gandara. That joint venture had not ranked highest in an extensive selection process, but a criminal investigation by the San Diego County District Attorney's office later revealed the board and the superintendent had relationships with the contractors that "consisted of continuos exchange of financial benefits in the form of extravagant dinners, theatre tickets, airline tickets, donations to family members beauty pageants and charitable interest, campaign contributions, tickets to sporting events, hotel accomodations and similar financial inducements" when those contracts were awarded, according to court records. It is against state law for government officials to participate in or vote to award a contract to a company in which they have a financial interest. Contracts awarded in violation of that law are considered void. An attorney for SGI Construction said the district's motion for summary judgement follows a motion filed by SGI to have the case dismissed in SGI's favor. The attorney sent a statement, which in part read: "The District is spending enormous amounts of public funds on a legal and public relations campaign against SGI who performed its duties in the best interest of the District. In fact, SGI used the funds the District now seeks to disgorge to pay employees, sub-consultants, materials and reasonable overhead as approved by the District." Attorney Robert Nida added that the expenses of SGI were all audited by an independent auditor, and found to be in compliance with the contract obligations . Gilbane Building Company could not be immediately reached for comment. Last week, the district sought a court-ordered injunction to remove two board members who had entered guilty pleas to misdemeanor charges in relation to the "pay to play" prosecution. "Current Superintendent Dr. Edward Brand retained legal counsel to pursue all lawful remedies to seek return of the monies paid by the District to contractors who provided gifts and other financial benefits prohibited by Government Code 1090," stated a press release from the law firm representing the school district.